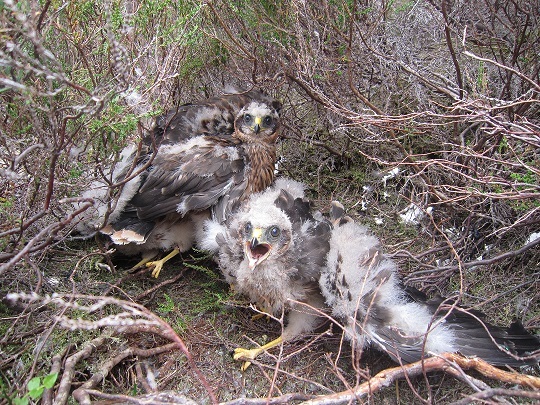 As part of the RSPB’s EU-funded Hen Harrier LIFE project, we’ve fitted chicks in the nest with satellite tags so we’ll be watching their movements very closely during fledging and beyond. We would like to send a big thank you to RSPB staff and volunteers, United Utilities and their tenants, and raptor workers who have all worked hard to protect all three nests, resulting in a successful season at the site. This is incredible. I'm looking forward to the England result for the year (in terms of total Hen Harrier production). I just hope Natural England are not too involved. Congratulations to all who were involved.